The Young French Mezzo-Soprano established in Geneva, Marie Hamard has been acclaimed for her warm voice and her “bewitching presence” (Forum Opéra, feb 2018). In the 2018-2019 season, she will regain the role of Zefka (The Diary of one who disappeared by Janáček and Van Parys, m.s. Ivo Van Hove) in an international tour : Roma Europa Festival, Beijing Music Festival, Janáček Festival in Brno, Teatro Cavallerizza Emilia Romagna Festival, Tandem Scene Nationale Douai-Arras, Espace des arts in Chalon sur Saône, L’Onde Théâtre in Vélizy, Rouen Opera, Brooklyn Academy of Music of New-York, Royal Opera House London. She will also be the Servant in Auber’s La Forêt Bleue with l’Atelier Lyrique et la Chambre du Roy in Tourcoing (Surot/Duhamel). Additionally, she will be giving recitals and concerts in the Lemanic Region. Marie started her artistic training at a very early age, studying the piano and acting. She graduated with a Master in Literature and a Master in cultural management. She then joined the Haute Ecole de Musique in Geneva and in 2015, received a Master of Arts in specialized musical interpretation in Stuart Patterson’s class. For her final recital, she was rewarded with the Mise en Voix prize. Marie’s constant desire for improvement led her in March 2016, to take part in the prestigious “Britten-Pears Young Artist Programme” in Aldeburgh with Thomas Allen, Ann Murray and Roger Vignoles. The same year, she received the Michelle grant from the FOCUNA foundation and took part in Jennifer Larmore’s master class in Luxembourg. In 2015, she took part in the “Exzellenz-Labor Gesang” development program with Hedwig Fassbender, René Massis and Umberto Finazzi. Prize-winner of the Royaumont Foundation in 2017, she took part in the prestigious Ian Bostridge and Felicity Lott Master Classes in Paris followed by recitals in the Orsay Museum. 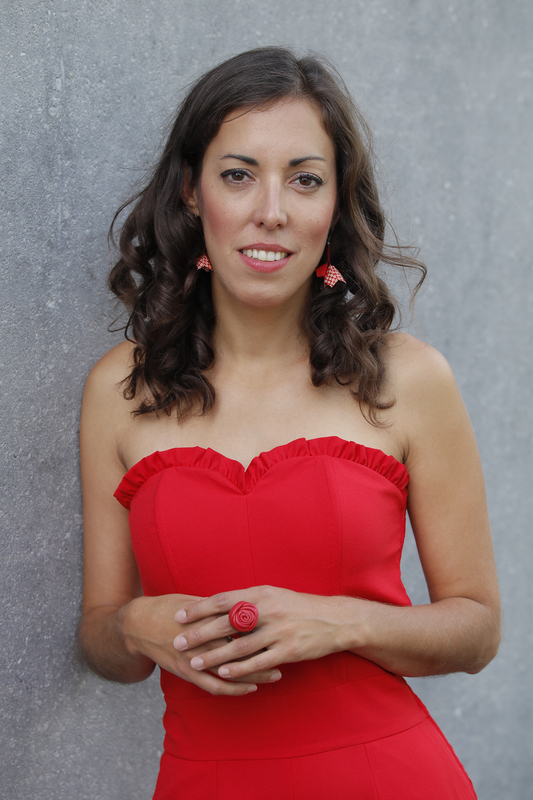 Curious and passionate, Marie has a wide repertoire, from baroque to contemporary music. She has developed her interpretation of french and italian baroque music collaborating with musicians from the Ancient Music Center in Geneva. Her experience includes Monterverdi’s Vespers with Daniel Reuss, Messagera in Monteverdi’s Orfeo with Luca Pianca, Valetto in Monteverdi’s L’Incoronazione di Poppea, Ariel in Purcell’s Tempest with Cantatio (J.Duxbury). In November 2017, she performed in a baroque concert in Napoli under the guidance of Sara Mingardo. She also likes the contemporary repertoire and has sung Mac Millan’s Seven Last words from the cross with Celso Antunes, Ohanna’s Les Lys, Xavier Dayer’s Sous la terre des cris, Gaudibert’s Si lointaine sa voix with Franck Marcon, Lévinas’ Passion selon Saint Marc (The Servant) with Marc Kissoczy in Musica Strasbourg Festival, Feldman’s Rothko Chapel with N. Farine. In the Ivo Van Hove’s show, The Diary of one who disappeared, she sings original compositions by Annelies Van Parys. On stage, Marie has recently performed has Zefka in Bruxelles Klara festival, Rotterdam Operadagen, Amsterdam Musiekgebouw, Lyon Opera, Luxembourg Theatre, Quimper and Vannes ; Mercedes in Bizet’s Carmen with the german festival Opera Classica, Zulma in Rossini’s L’Italiana in Algeri, Anita in Bernstein’s West Side Story, Gontran in Chabrier’s Une Education Manquée, Second Lady in Mozart’s Die Zauberflöte, Pluton in Glück’s L’Ivrogne Corrigé. Marie also regularly collaborates with the Ensemble Vocal de Lausanne (Daniel Reuss), Cantatio, Buissonnier, Polhymnia and L’Horizon Chimérique. Marie regularly gives recitals with the Hungarian pianist Agnes Lörincz, together they form a dynamic lively duo.